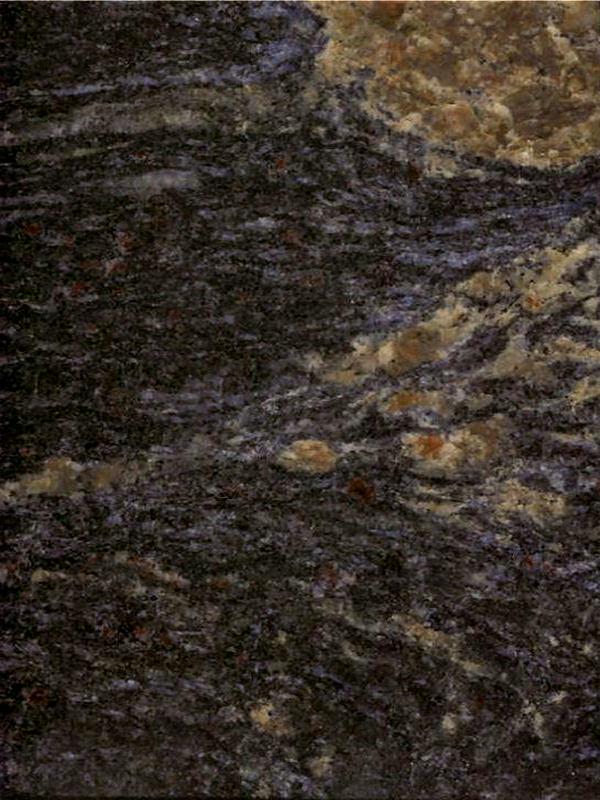 Description: Azul Barracuda granite is a black-blue-brown cordieritefels with garnets. This stone internationally may be nominated as a granite but in the area of application of the European Standard we are awaiting clarification however, presumably, Cordierite. A small sample of Azul Barracuda granite is not representative owing to a wide variation in colour and veining. Swatch samples must be approved for large projects to ensure that the blocks are all extracted from the same quarry face for matching purposes. During the polishing process a clear epoxy resin filler may be used to fill any micro fissures or tiny pitting however this does not affect the integrity of the stone, it merely provides an even smoother surface finish. Azul Barracuda Granite is suitable for both interior and exterior use futhermore is frost resistant and with a constant polish. Surface Finish: Azul Barracuda Granite looks best with a gloss polished surface but is also available as honed, leather/satin, river-washed/antique, thermal/flamed, brushed and sandblast finish. Sealing: Test with a small sample. It is possible that a sealant can be used on Azul Barracuda granite however excessive attempts at sealing it could actually create a residue film build-up. Quarry Location: Azul Barracuda granite is quarried near Joao Neiva, Espirito Santo, Brazil. Cordierite: Also called dichroite or iolite, blue silicate mineral that occurs as crystals or grains in igneous rocks. It typically occurs in thermally altered clay-rich sediments surrounding igneous intrusions and in schists and paragneisses. Cordierite typically occurs in contact or regional metamorphism of argillaceous rocks. It is especially common in hornfels produced by contact metamorphism of pelitic rocks. Two common metamorphic mineral assemblages include sillimanite-cordierite-spinel and cordierite-spinel-plagioclase-orthopyroxene. Other associated minerals include garnet (cordierite-garnet-sillimanite gneisses) and anthophyllite. Cordierite also occurs in some granites, pegmatites and norites in gabbroic magmas. Mineral Composition: Average by % Brown feldspar, quartz and 10~30% steel-blue cordierite.